T-R 400 is a racing game published by Midas Interactive Entertainment, and developed by Kuju Entertainment. The game offers a total of 16 different playable tracks, with cars from sports car manufacturers Mosler and Ascari. The game was commissioned by Midas for the budget PlayStation 2 market, and was also released on PC too. 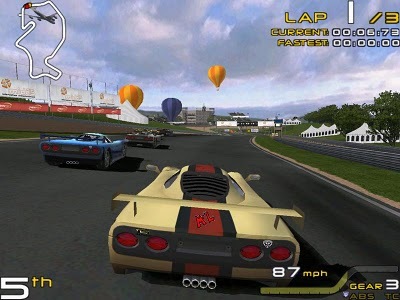 Gameplay elements include a championship mode, with 6 different championships where success is rewarded with unlocked tracks, a time trial mode where new cars and colour schemes can be unlocked, and a quick race mode. There is also a multiplayer mode where two players can race simultaneously on a split screen.